British Airways to take over bmi Heathrow slots? AND FINALLY - "I don't have three greens!" 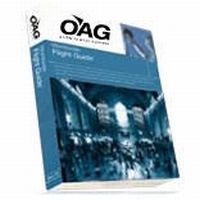 This month’s analysis of the OAG (Official Airline Guide) schedules database indicates that airlines worldwide will operate 2% more flights in November 2011 as compared to November 2010. The total number of scheduled flights operating in November 2011 is just under 2.5m but what is surprising is the 4% jump in seats offered (312m) giving an indication that the Airbus A380 introduction is beginning to have an impact. Flights and offered seats to and from North America have increased by 5% and 3% respectively. However within that area there is a decrease of 3% in frequencies and 2% in seats. For Europe, services are down by 1% but seat capacity has increased by 1%. Within the Middle East the changes are positive, 5% and 4% respectively. The greatest change is within Asia Pacific where the growth is 8% and 7% but Africa is down by 6% and 5% respectively. SkyWork Airlines, the independent Swiss carrier, based at the country’s capital Bern, has inaugurated a twice-weekly service to Budapest. It will operate on Saturdays and Mondays, making the route an attractive option for weekend getaways. The sector is flown by a 31-seat Dornier 328 turboprop, the same aircraft used on the London City service from Bern. It is possible (and practical) to use the plane on a through flight from the East End airport to Budapest. Vueling, the Spanish low fare airline featured in COMMENT, is to expand its footprint in the UK beyond Heathrow, with the launch of a service from Cardiff Airport to Barcelona, on 27 March 2012. 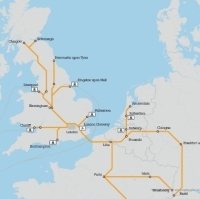 The route will initially operate three days a week and will be flown by Airbus A320 aircraft. 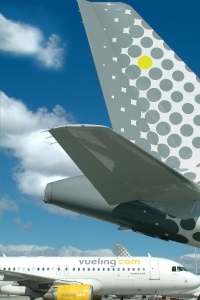 This is Vueling's first direct service from the UK to Barcelona, the airline’s home base. Passengers enjoy through baggage check-in to over 40 destinations in Europe and North Africa. This is particularly helpful for people travelling to or from South Wales who until now have had to use the Severn Crossing to Bristol Airport, or take the M4 to Heathrow. The new route will appeal largely to those keen to explore the cultural and gastronomic delights of Barcelona or making for Barcelona’s cruise port terminal, Europe’s busiest. The excellent facilities provided by the new Marriot Renaissance at St Pancras were the backdrop for the Guild of Travel Management Companies third annual conference last week with 150 delegates. 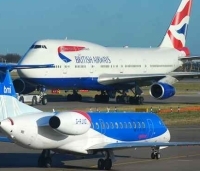 Conservative MP Kwasi Kwarteng of the Transport Select Committee and Member for Heathrow constituency Spelthorne, said that the travel industry “failed to make the case” for a third runway at Heathrow and against Air Passenger Duty, a statement which not all delegates agreed with. 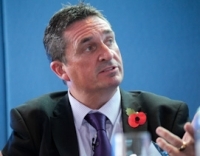 He claimed the recent appointment of Justine Greening as Transport Secretary was not a deliberate snub to the industry. Greening led opposition to a third Heathrow runway. Royal Jordanian Airlines (RJ) will reach two new destinations in December, Lagos on the 3rd and Nairobi 16th. Lagos will be twice weekly with a 280-seat two-class A330 whilst Nairobi will also be two-class but a narrow-bodied Airbus A319. 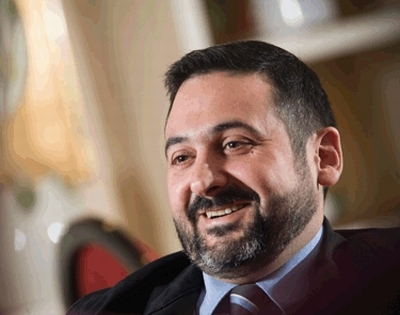 RJ President/CEO Hussein Dabbas said the company’s effort to inaugurate these two routes comes in line with the expansion strategy RJ is undertaking in an attempt to find new tourism and travel markets, given the decline in tourism movement from the traditional markets of Europe and North America. The airline is conducting studies to see whether it is feasible to inaugurate routes to Accra, and Addis Ababa, the capital of Ethiopia. RJ is working on putting these cities on its route network in the near future. Emirates has announced it is bringing forward its first daily A380 service to Germany by serving Munich from 25 November, nearly five weeks earlier than originally scheduled. The aircraft was initially set to replace EK 49, one of two daily services to Munich, from 1 January 2012. The carrier made the decision after reviewing its forthcoming A380 deliveries and expected demand. From 1 September, Emirates increased Dubai – Hamburg capacity from once to twice daily, taking to 56 its total number of weekly passenger frequencies to Germany. The current double daily Frankfurt service now has four frequencies per week and will become a triple daily operation from 1 December. Europe boasts the second largest fleet of business aircraft in the world. In 2010 this comprised 4,000 aircraft, (10% of them registered in the UK) representing 7.3% of Eurocontrol’s IFR traffic. Yet as much as 80% of business jet operators in the region fly just five aircraft or less, according to the European Business Aviation Association’s (EBAA) President Brian Humphries. And, with the market getting tougher, consolidation among players, just like the airline industry, looks more than inevitable, delegates attending Quaynote Communications conference "Future of Business Jets" heard last week. The successful survivor operators will also be the ones that have seized opportunities to diversify and offer a range of complementary services. The primary OEMs were notably absent at this event, but specialists and observers had plenty to discuss about the ‘politicatisation’ of the industry and the issues operators have to grapple with – from VAT to the threat of APD for business jet users and slot allocation revision. EBAA has teamed with the European Regional Airlines Association (ERA) to lobby for a revision to proposed new slot allocation rules, which, if implemented could threaten their future presence at secondary and regional airports. Here, larger scheduled operators, especially LCC (Low Cost Carriers), are gaining a greater presence. EBAA believes the best solution is to guarantee a number of slots (based on historical usage) per day for business aviation operators so that operators can use the slots jointly, similarly to arrangements in the airline alliances. 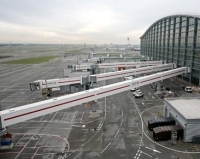 EBAA and ERA have appointed airport consultants Mott MacDonald to come up with a report to counter that of the recently published Steer Davies & Gleave report which recommends that the number of passengers carried by aircraft should be the sole performance indicator in the allotment of any new slots. Greg Martin from JSSI questioned why high net worth individual business aviation users don’t ever step in and challenge their politicians about why they can’t get in to their airports. Because they are ‘conspicuous consumption’ users, said Greg Thomas, CEO of Privatair. They are engaged in ‘real’ business. Bizjet owners may challenge their management company when presented with a £250 bill for aircraft cleaning, saying ‘but the aircraft wasn’t dirty,’ but they won’t call up David Cameron and complain that their Falcon 2000 couldn’t get in to London City Airport. Perhaps the right time to lobby is in election year, suggested IBA Group’s Mark Woollner – when politicians rely on business aircraft to help them effectively manage their campaigns around the UK. The beginning of January saw a change in regulations whereby newly registered aircraft that import to Europe via the UK incur a 20% VAT charge. As expected, this has meant fewer users registering their aircraft in the UK, said aviation lawyers Gates and Partners, a prime sponsor at the event. The move has also sparked progress by the likes of Denmark, the Isle of Man and Malta to offer their own "solutions" to the VAT problem. Jersey is looking at it. Owners are mobile and don’t care where they register their aircraft, delegates heard. An airing on fractional aircraft ownership when regular flyers take a share in the aircraft versus ‘fly and walk away’ ad hoc charter concluded that the fractional business model has not taken off in the same way it has in the USA. This is because the US has far more airports, and business jets are used by middle management rather than the senior executives who favour them in Europe. The cost of entry is so high that no other company in Europe is going to start competing with NetJets (NJE), which now supports a150-strong fleet and enjoys partner arrangements with 12 different operators. Emily Williams, Sales Director said that NJE is profitable and fractional ownership in Europe is here to stay. Some 80% of its 1,500 members are fractional owners, 20% are jetcard holders. Members like the comfort and security of a strongly-backed Berkshire Hathaway company and the variety of aircraft available, she said. Ad hoc charter offers more flexibility, said Trevor Jones, Gama’s Director of Client Services, where a client flies without being tied into a fixed plan. Gama, based at Farnborough Airport, is one of the industry’s longest established players, in its 29th year and 80 operating in Europe, the US and Middle East. “We work with the brokers, we work with NetJets and we work directly with clients who want a tailor-made personal service,” he said. The good news for the industry, said Air Partner plc Director David Macdonald is that today there is a such a wide and varied choice of aircraft for clients to choose from. And addressing the actual title of the conference, Chris Seymour from Ascend highlighted the new models that have been launched over the past 12 months to help drive the industry’s recovery: Bombardier with its new Global 700/8000 Series and Learjet 85; Cessna with the M2, Citation Ten and Latitude; Dassault and the Falcon 2000S, Embraer and its Legacy 500 and 450 offerings; Gulfstream the G280 and G650; Hawker Beechcraft the Hawker 200 and Honda Aircraft, the light jet HondaJet. Sukhoi has also entered the fray with its Superjet Business Jet, with a first order signed at NBAA with from Comlux. 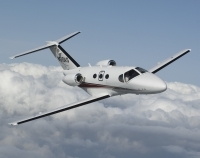 It will be sometime before these new types top Avinode’s top charter list, but in 2011 the most popular type for charter among EU users is the Citation XLS; second the Challenger 604 and third the Very Light Jet Cessna Mustang, 45 of which are flying in Europe. The light jets do well in the business months, says Magnus Henriksson, Business Manager of Avinode, but come the winter it’s the big cabin aircraft that are in demand. Another trend he notes is that Europe favours ‘newer’ aircraft and will fly them further, whereas the USA, is now flying ‘older jets’ on shorter distances. After a disastrous 2009 when cancellations of bizjets exceeded new orders, order intake is positive into 2011 said Chris Seymour, but it is the emerging markets that are driving the demand. Hotspot markets include Brazil and Russia – a market that has rebounded. India is another growing market and China, where one sixth of the 2,000 richest individuals has plans to buy private aircraft. With the market moving again large cabin, wide-bodied aircraft are dominant at the Middle East’s dedicated business aviation airport Al Bateen Executive, said General Manager Steve Jones. Other participating airports at the conference were the UK’s Oxford and Cambridge Airports which both said they have taken their first bookings for the Olympics. It announced a three-year exclusive arrangement to provide bespoke flight solutions to users of the MasterCard World Elite card within Europe, demonstrating business airports need to be savvy about marketing opportunities too. 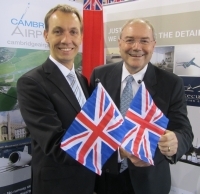 Cambridge Airport meanwhile is set to considerably boost its standing as a viable business aviation gateway and recently appointed ExecuJet Europe to run its Fixed Base Operation (FBO). The company will move in effective 1 January, 2012. ExecuJet will also be able to call on its experience handing the South African World Cup during the Olympics. Cambridge is one for four regional business airports to be open 24/7 during the Olympics. The final phase of short haul aviation in Europe - Now at an airport near you! States. 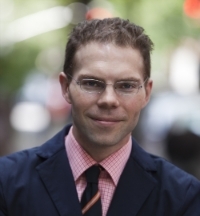 A Masters graduate of Ohio State University he founded Clickair in 2006, which merged with Vueling in 2009. Prior to Clickair he had spent 10 years with American Airlines before moving to London working for management consultants Accenture, where his clients included British Airways, Continental, Delta, Lufthansa and Virgin Atlantic, amongst others. One more year, one more WTM, and many market uncertainties are still there. But one thing is certain: low-cost/low-fare, short haul aviation has become a global phenomenon. Europe, however, continues to be the breeding ground for the latest manifestations of the category, a result of three distinct phases of evolution over nearly four decades. We are currently in the initial stages of a fourth stage of development, an accelerated substitution process that by 2020 will see practically all short haul traffic offered today by legacy carriers taken over by low-cost specialists. But let us start at the beginning. That was back in the 1970s and the State was ever-present. We’ve had a collection of state-owned airlines and a handful of private leisure companies operating mostly in mono- or duopolies across main markets. Most of them wished to privatise and eventually, the respective governments initiated that process. During this phase, the short haul product remained expensive, exclusive and scarce. “Consumers” (although nobody really thought of them as such back then) had to adapt to the product offered by those airlines. Their only choice was take it (“pay it”) or leave it. Then came the 80s and Reaganomics happened. The now privatised airlines had to learn – often the hard way – how to become profitable and well managed enterprises, answering not to politically driven masters but to the financial logic of boards. The goal was to secure a piece of the action in the up-coming European Union “open skies” liberalization scheduled for 1992. In the sidelines, a new breed of carriers was starting to take shape, the prime examples of which were Ryanair and easyJet. Enter Phase III, which started somewhere in the mid 90s. These pioneer low-cost carriers began to offer a very basic but significantly discounted product loosely following the model coined by Southwest Airlines in the US. In a typical example of history repeating itself, the incumbent traditional airlines at best perceived the newcomers as a temporary anomaly and, at worst, ignored them... at their own peril. When the model started to be replicated regionally by other similar start-ups, what had so nonchalantly been written off as a fad began to look like a structural change, forcing traditional airlines to slim down their own products and services in order to cut fares in an attempt to remain competitive. Fifteen years later, low-fare airlines account for more than 700 aircraft flying every day over European airspace. This segment of the industry is the prime driver behind meteoric demand stimulation in hardly served regions, and the many fold increase in overall passenger figures over the last 10 years, despite the recent years of economic distress. They are a key element in the sustainability of tourism and in keeping the cost of doing business in check, especially for small and medium sized companies, the backbone of Europe’s real economy. This brings us to the last and final phase. Traditional carriers in Europe have at last admitted that they cannot cope with high operating costs in their short haul operations. Of course this is something they knew for some time, but the situation finally has become untenable owing to the effect of sustained high fuel prices and the added threat posed by the entry of new competitors in the only profitable area of the traditional carrier’s business: the long haul business passenger. Therefore, my prediction is that in the next five to eight years we will witness a quasi-complete substitution effect. Lower cost operators will replace nearly all the existing short and medium haul operations offered by legacy carriers who, in turn, will concentrate their efforts in the medium-long and long haul routes operated with bigger, more efficient aircraft and a product tailored to differentiated consumer segments. Is re-engineering the existing companies possible? On paper, yes; at least in some cases. But in reality, the task is fraught with complexity. It entails addressing long-standing labour agreements, striking new agreements with pilots, controlling high costs, simplifying convoluted and uncompetitive management structures and processes, dealing with sub-optimal productivity and tackling many other operational and structural issues. Combined, these factors make the challenge of turning a traditional carrier into one that can deliver a cost base comparable to a purpose built low-cost carrier next to impossible (and congratulations, by the way, to Aer Lingus for nearly getting there after more than 12 years of hard work). What will the landscape look like in 2020? We are likely to see some major trunk and business routes between financial centres or main hubs in Europe still connected by a dual class product offered by the experienced airlines, but this will be a very small percentage compared with the remaining short haul capacity. That hub-feeding and point-to-point traffic is likely to be exclusively operated by lower cost spinoffs and already existing low-cost carriers. In this process, we can expect two significant developments. First, the existing low-cost operators will undoubtedly improve their product and “move up the ladder” in the business travel market. Yes, easyJet will connect and feed other airlines, and yes, they will have a proper loyalty programme. And yes, Ryanair will soon pursue business travellers at more relevant airports. And no, I’m not on drugs when saying this. If no more significant capacity is added by these carriers over the coming years, they will begin chasing yields. The second effect is a pure necessity: legacy carriers will need to be successful, finally, in the creation of lower cost spin offs –not re-engineered versions of themselves, but new companies. The first wave attempting to do this failed: Snowflake (SAS), Buzz (KLM), Germanwings (LH), bmibaby (BD), CentralWings (LO), Go (BA), Transavia (KL), amongst others, have either closed or been sold altogether, or they have been reduced by their parents to a specific niche role, with no growth or profits. By now, this article begs the question of why I have failed to mention clickair (IB), an airline which does not exist today, and which, yes, I originally started. This is because I believe that clickair’s creation was the only successful such venture in Europe in view of the end results. Today, after destabilising and eventually forcing a merger with the “original” Vueling, the new integrated company that emerged is the only successful airline partly owned by a legacy carrier, Iberia. Five years after clickair’s inception, Barcelona has a cheaper product in a profitable platform (2nd in Europe in terms of EBIT margin in 2009 and 2010, with 5-10% annual growth). Furthermore, at the new Vueling not only have we achieved a very low cost structure (€4 ex-fuel CASK); we have done so while offering a product that is, observers have told me, “just a curtain away” from a traditional carrier. This includes all the hitherto no-nos in the LCC bible: connecting traffic, premium product, code-sharing, seat assignment, FFP, full GDS distribution, etc. Basically, with the right support, and a strong team, it can be done. After “the plug”, perhaps a conclusion is in order. As consumers, we should be prepared to have a better service for about the same, low, prices forever (index and fuel cost-adjusted, of course) – which for WTM participants, it basically means, more travel and more sales. As industry players, we are likely to see the traditionally delivered short haul product progressively disappear from our main airports in favour of a similar product which will get even better with time – as it will be easier to compete from a lower cost platform. And this time, we will not need to wait 30 years... this phase is now well underway. This month's SOAPBOX was written prior to the takeover announcement of bmi by British Airways. Iberia is a 45% shareholder in Vueling. Held at London’s Metropole Hilton last week, the annual conference of the UK Airport Operators Association can easily be divided into a good day and bad day. The opening morning session featured the new Minister for Transport, Justine Greening, who gave her version of “this lady is not for turning” with regard to the Heathrow third runway political decision. She was followed in the afternoon by a very keen to speak and equally fresh Shadow transport spokesperson Maria Eagle stating that it was not the Labour Party’s policy to support the expansion of Heathrow. Last Friday Lufthansa announced that International Airlines Group (IAG), essentially British Airways and Iberia, had reached an agreement in principle to purchase the German airline's loss making subsidiary British Midland Ltd. The sale and closing of the deal remains subject to conditions, including a binding purchase agreement, further due diligence and regulatory clearances. It is envisaged that a contract would be signed in the coming weeks with the aim for the transaction to be completed in the first quarter of 2012. Fronting the IAG reasoning Chief Executive Willie Walsh pointed out that his company would still only finish up with 53% of Heathrow slots, considerably less than Lufthansa’s 64% in Frankfurt and Air France 58% at Charles de Gaulle. Steve Ridgeway, his equivalent at Virgin Atlantic, one of several spurned suitors, noted that those airports offered far more runway capacity enabling competing airlines to challenge on individual routes. For Walsh the extra slots will enable BA to develop, if it wants to, into China, India and perhaps South America without having to compromise on short haul. Lufthansa is to launch non-stop flights from Düsseldorf to Tokyo Narita from 1 June 2012. The airline already serves the Japanese capital from Munich (where it competes with ANA) and also Frankfurt (here the rival is JAL). At the present time Tokyo Haneda, recently re-opened for international flights and virtually a city centre airport, is not connected direct to Germany. 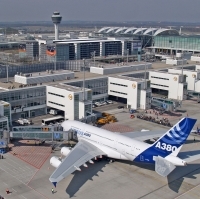 A three-class Airbus A340 will fly the route six times per week. The launch represents the next step as the airline continues to expand consistently the offer at its Düsseldorf hub. A four-month trial that will make it easier for airlines to use Heathrow’s two runways simultaneously has begun. Previously each of the parallel runways were restricted to take-off or landing, switching each afternoon. One of the benefits is that congestion at the airport will be reduced meaning fewer late-running flights after 22:30 GMT. With a smoother landing (and take-off) pattern the overall working of airline schedules and time keeping should improve, reducing holding both in the air and taxiing with the resultant lower emissions. Overall noise should be reduced too. BAA noted that Heathrow flights remain capped at 480,000 aircraft movements a year. At the present time the average arrival delay is 12 minutes. South America’s two largest airlines, LAN (Chile) and TAM (Brazil), have started the technical work preparing for integration. The expectation is for the LATAM Airlines Group to be created towards the end of first quarter 2012, subject to final approvals from relevant authorities and to agreement from non-controlling shareholders from TAM and LAN. In the new group’s structure, Maurício Rolim Amaro (TAM Chairman) will be the Chairman of the Board of Directors of LATAM and Enrique Cueto, LAN CEO) will be the CEO of LATAM. With World Travel Market publication in mind, at the end of October 2011 the European Tour Operators Association (ETOA) canvassed 38 members who between them move more than two million people annually to London. The results revealed today show that they are expecting a significant downturn throughout 2012 with particular emphasis in the Olympic months of July and August, where operators are currently seeing a 60% shortfall in bookings. High APD is not helping. ETOA says that bookings during the Games are 95% below where they would normally be. For the rest of the year they are running at 20% below this time last year which might be considered good in consideration of the world economic outlook. We would just like to add our congratulations to Captain Tadeusz Wrona, a 54-year-old veteran Captain with LOT Polish Airlines who achieved a near perfect 'wheels up' landing at Warsaw Chopin Airport last week. We all know that is what he was trained to do in the simulator but actually producing 'for real' is never the same. It made for good TV too! Cathay Pacific Airways has begun to receive the first of its new fleet of Boeing 747-8 freighters, technically the maiden passenger airline to begin flying the largest ever Boeing, but in fact second after specialist carrier Cargolux. At the present time Cathay does not have the all-seater version on order. The airline will receive a total of 10 of the new-generation aircraft – the world’s largest commercial air freighter – with four being delivered by the end of this year. Late last week British Airways also took delivery of what is the world’s largest air freighter, Global Supply Systems (GSS) a 51% British company acting on behalf of Atlas Air Worldwide Holdings, Inc (49%). 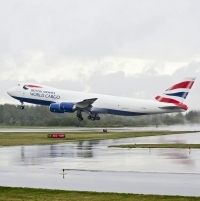 GSS will operate the new freighter for British Airways World Cargo through a five-year wet-lease agreement. 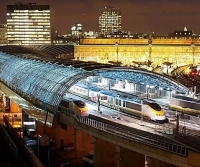 A proposal has been put forward that would see a half-hourly direct train service between Waterloo and Heathrow Airport perhaps using the redundant Eurostar platforms. The scheme is being promoted by Wandsworth Council and is based on BAA's Airtrack project. It would provide four trains an hour from Waterloo to Terminal 5 with stops at Clapham Junction and Putney. It avoids routing extra trains through level crossings in Mortlake and Egham. This was a key problem with the original scheme which was scrapped by BAA in April. The new plan – called Airtrack-Lite – routes two trains an hour from Waterloo via the Hounslow loop which serves Brentford, Syon Lane, Isleworth and Kew Bridge stations. The two existing services on the Waterloo – Windsor line would split at Staines to provide a further direct link to Terminal 5. Two services an hour would also come up from Weybridge to Heathrow – again without adding extra frequencies over level crossings at Egham. The new scheme would require a new station at Staines and the implementation of the track to Terminal 5 which has been provided for. On the eve of World Travel Market (WTM) Reed Travel Exhibitions (RTE) made a surprise announcement that it had purchased Business Travel Market (BTM), the annual corporate travel conference and exhibition held at London’s ExCeL, for an undisclosed sum. 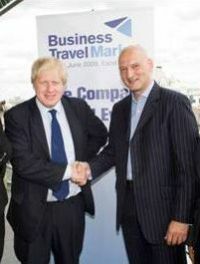 Launched in 2009 by Paul Robin, BTM was the first event serving the corporate travel sector to accommodate successfully fully hosted key buyers from all over Europe. It has doubled in size since the first show, and enjoyed consistent support through key players in the business travel industry. Richard Mortimore, Managing Director of Reed Exhibitions commented: “This acquisition is strategically important to our travel portfolio of events. We have monitored BTM’s progress with interest, its successful ‘hosted buyer programme’ format complements our own. We believe we can further consolidate BTM’s position in Europe as well as develop its brand in other markets where we already operate. It is also clear that corporate travel is integrated within the meetings and events sector, especially in emerging markets and this will allow us to incorporate this knowledge and expertise and provide added value to our shows around the world." In spite of the airline being up for sale (AERBT 31/10) bmi Regional has introduced a three times weekdaily (plus a single flight on Sunday) between East Midlands and Frankfurt airports. 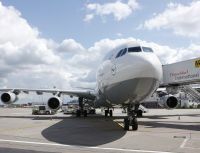 Besides linking the major cities of Derby, Leicester and Nottingham with Germany’s financial capital, the service will provide connections both ways with current parent company Lufthansa’s service to Africa, and both the Middle and Far East. The Trafalgar Hotel, in Spring Gardens on the west side of London’s Trafalgar Square, has created three hotel packages exclusively for women. Each package is tailored to suit women of all ages whatever their passion – whether it is shopping, theatre breaks, cocktails and dancing or simply being pampered. The hotel could not be more central for historical, shopping and entertainment London. Perhaps the most experienced airport architect in the world, with a string of successful projects behind him (Beijing, Frankfurt, Hong Kong and Stansted to start with), Lord Foster, together with partners Halcrow and Volterra, have come up with their own ideas for an integrated transport hub on the Isle of Grain east of London. Inevitably opposition groups have raised their heads but it is inconceivable that such a qualified team would not have considered all the construction and environmental problems involved. Lord Foster claimed that 60 people had worked for two years on the project. Whether the £50bn (£20bn for the airport) plan will receive the backing of a cautious airline industry remains to be seen. Tim Clark of Emirates is much in favour whilst Lord Glendonbrook (Michael Bishop) is against, and with Willie Walsh he is non-committal, a policy of wait and see. The Foster scheme is based on a four-runway airport, high-speed rail links to the Midlands and north, the M4 corridor and the Continent, plus a new Thames Barrier. A 15-year project is envisaged. 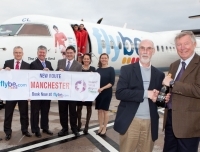 Flybe managed to persuade Manchester United’s legendary Scottish manager to kick off the airline’s new all the year around service from Manchester to Knock in the west of Ireland, last week. The airline specially used its Bombardier Q400 named after Ireland’s greatest footballer George Best for the inaugural service.